Is this all there is? The little voice in your head just won’t let up. Your life is good. Your job brings in enough money to support you and your family. You may even be climbing the ladder in your career, on your way to becoming a business owner or a CEO. But the little voice is still there. No matter how much you achieve, or how many toys you accumulate, the voice won’t go away. This can’t be it . . . Isn’t there something more? You try to ignore it, but the empty feeling behind the voice is hard to ignore. And there’s a good reason it won’t go away: you haven’t found your Big Why yet. What you have found is your little why—how to survive and get your bottom line covered. But there’s still something missing. And that’s the “missing piece” in the puzzle of having a fulfilling life: your Big Why. The French call it the raison d’être, your “reason for being.” Buddhists call it dharma, your path in life. It goes by other names: a calling or mission in life; your destiny. All of these point to the same thing: you are here for a purpose, and knowing what that purpose is, your Big Why, is the key to all of your success and happiness in life. In Discover Your Purpose by Rhys Thomas, you find your way back to a time when as a child you knew the answer to this question: Who am I and why am I here? 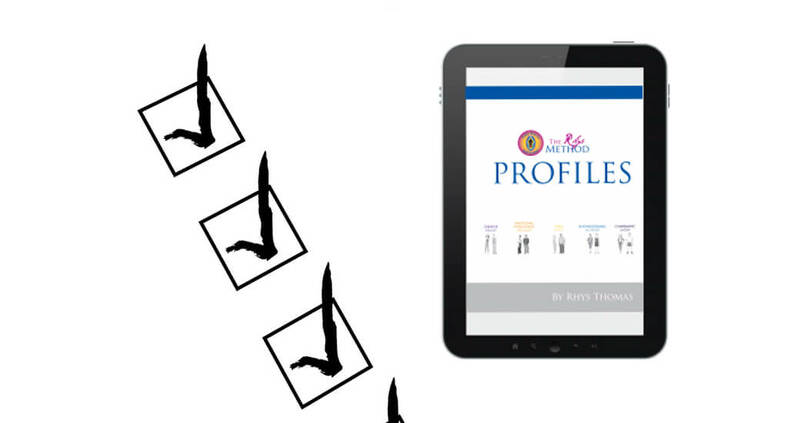 With the help of a system that introduces you to your core self, the Life Purpose Profile System, you are able to reconnect with yourself and bring your Big Why into every aspect of your life. Only when you are on track with your unique purpose that drives all your choices and actions in life, can success be yours, because your life purpose is authentically who you are. Today, our sense of purpose in life is limited to our job titles and our roles in family and society. Self-worth depends on the amount of external influence you have and the money and resources you control. Within this system, you have the illusion of freedom, but when material success and recognition are the primary ways you define yourself, your sense of having a life purpose is limited. Society supports a pattern of striving that does not bring us inner peace. At some point, you stop trying to fit into someone else’s notion of what makes us valuable. You no longer define yourself by your lineage, country, religion, government, or any other external system that might want to use you to further its own agenda. Traditional gender roles fall away because men and women are equally capable of achieving deep inner knowing and transcendence. We are evolving into a new kind of humanity. Jung called this new human the individuated self, Maslow called it the self-actualized self, Wayne Dyer called it the no-limit person. I call it the core soul self to underscore an identity that includes not only your accomplishments and your potential but also the spiritual and energetic dimension of your human experience. I will show you how your soul comes in five distinct profiles. Everyone falls into one of those five profiles, which helps account for some human differences and motivations. The question What should I do with my life? may no longer be the right question. Instead, you might start with the question Who am I? Knowing who you are, not what you should do, is the missing ingredient in your life purpose pursuit. He is the creator of the Rhys Method® transformational system that is taught exclusively at the Rhys Thomas Institute. Originally posted at Mystic Living Today.